Unprecedented rising air temperature and rainfall in the Arctic is causing more severe storms and cold snaps for Britain, scientists warn. The North Pole is warming faster than anywhere else and is changing ocean currents bringing with it more unsettled and colder temperatures to northwestern Europe. The Arctic is the “smoking gun” behind global climate change which has a “cascading effects” across the rest of the world. Lead author Professor Jason Box of the Geological Survey of Denmark and Greenland in Copenhagen, said fluctuations in the Arctic could be why countries in Europe, North America and Asia are experiencing the effects of climate change. He said: “The Arctic system is trending away from its 20th century state and into an unprecedented state, with implications not only within but beyond the Arctic. “Increasing air temperatures and precipitation are drivers of major changes in various components of the Arctic system. “Because the Arctic atmosphere is warming faster than the rest of the world, weather patterns across Europe, North America and Asia are becoming more persistent, leading to extreme weather conditions. “Another example is the disruption of the ocean circulation that can further destabilise climate: for example, cooling across northwestern Europe and strengthening of storms. “”The study examines ecosystem response to physical climate changes and documents bio-physical disruptions that have cascading effects. Researchers from the University of Alaska Fairbanks (UAF) worked on the research paper. Co-author and chief scientist John Walsh at the University of Alaska Fairbanks’s International Arctic Research Centre said the alarming findings were even stronger than the researchers expected. He said: “I didn’t expect the tie-in with temperature to be as strong as it was. Scientists examined past observations from 1971 to 2017 which recorded air temperature, permafrost, snow cover, sea ice, land ice, wildfires, tundra, hydroclimatology, carbon cycling and terrestrial ecosystems. All of the nine indicators across the period correlated with rising temperatures, suggesting climate change in the Arctic, which is warming almost five times more than the rest of the planet, is the driving factor of widespread disruption. Professor Box said: “This study describes fundamental changes among key elements of the Arctic circle and biological systems. “It’s an intensification of the hydroclimatological cycle with increases in humidity, cloud cover, rainfall, snowfall and accelerating loss of snow ice. “Downward trends continue in the thickness and extent of Arctic sea ice. 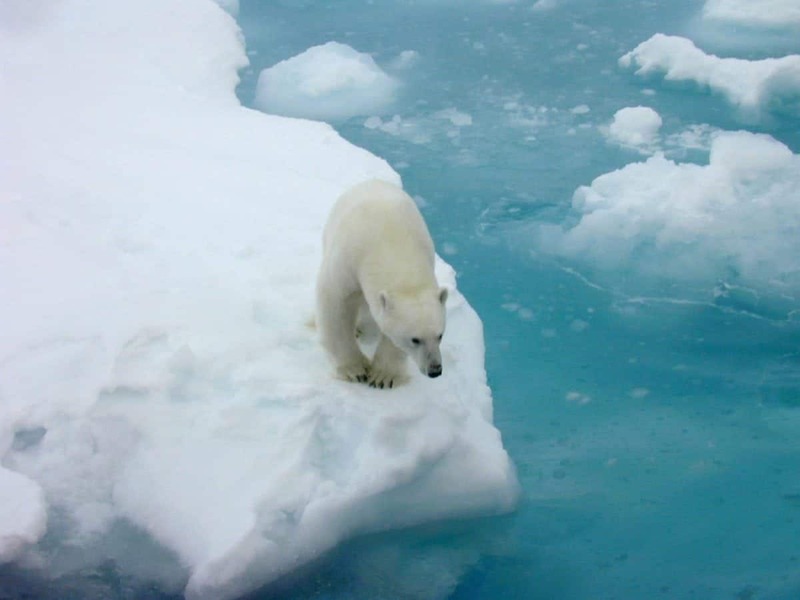 “Warming is stronger in the Arctic than elsewhere through a process called Arctic amplification. “Cold season warming is nearly five times faster than that of the Northern Hemisphere. Researchers believe the study that shows the importance of changing climate patterns in the Arctic will help further investigation into the continent’s role in global climate change. The paper was published in the journal Environmental Research Letters.